North Korea is reportedly dismantling facilities at one of their key launching stations in a possible attempt to fulfill a denuclearization pact. Satellite photos taken over the past few days show the regime has started disassembling parts of its Sohae Satellite Launching Station, according to the monitoring web site 38 North. The launching site reportedly helped the rogue regime develop their intercontinental ballistic missile program. 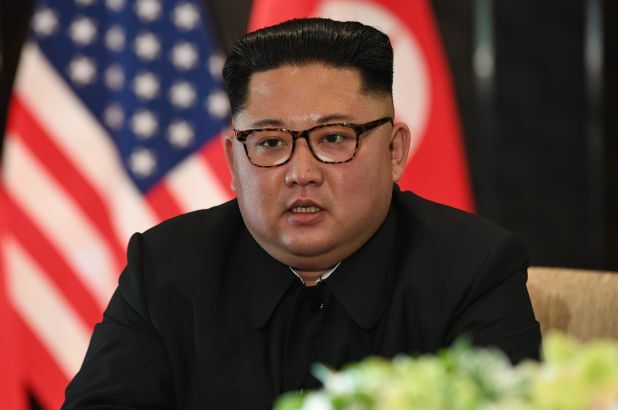 “Since these facilities are believed to have played an important role in the development of technologies for the North’s intercontinental ballistic missile program, these efforts represent a significant confidence-building measure on the part of North Korea,” according to 38 North’s Joseph Bermudez Jr.
President Trump held a historic summit with Kim in Singapore last month, but it has not been clear whether North Korea would follow through on the agreement to denuclearize the peninsula.